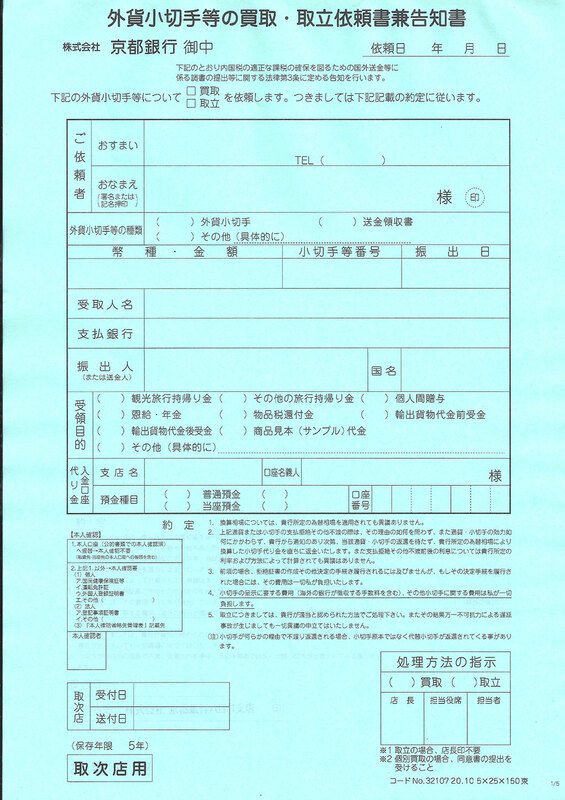 Even though Japan is a dream come true for sending a fax for example, cheques are something that are no longer in popular use, complicating the process. This space is for notes about cashing an international cheque in Japan. The bank does not cash cheques, according to the central post bank of Kyoto. Cashing of cheques supported for established customers. Fee 2500yen + 600yen (deducted from total sum afterwards). December 2015: Opened a regular bank account and had several transactions (including utility payments) during three months. March 3rd 2016: First attempt with a cheque from a Deutsche Bank branch in the UK in euros. (1) Cheque stated in English that euros are marked with words and cents are marked with digits. Despite explaining this, the bank staff insisted that the absence of cents written in words is a potential problem and they must contact Deutsche Bank to check if they can proceed with cashing the cheque. After verification, they contacted by phone to confirm validity later on the same day. 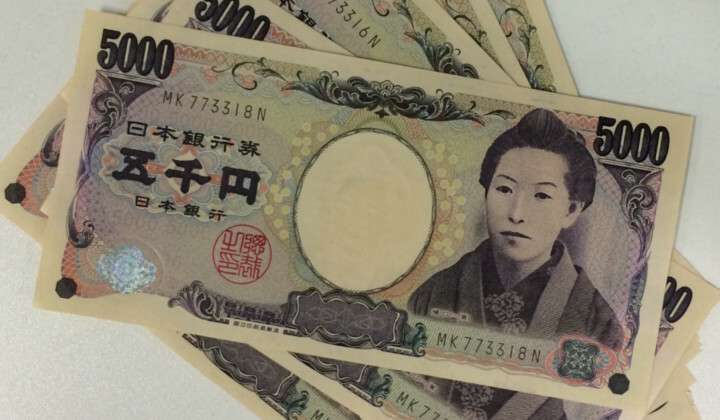 (2) According to new rules, cashing the cheque is not possible without a “my number” assigned to Japanese residents. Showing the 通知カード (notice card) which was sent by mail and contains the my number is sufficient together with a photo ID that proves your address in Japan. Such as 在留カード (residence card) or a Japanese drivers license. However the use of a proper マイナンバーカード (my number card) is easier. March 4th 2016: Second visit to the bank. Filled out the 外貨小切手等の買取 (foreign currency cheque transaction form). Process takes one month and funds will be deposited directly to bank account with the appropriate fees deducted from the total amount. Fee about 5000yen (possibly to be paid in advance). Fee unknown (check comment below). Some big branches in Osaka, Tokyo and maybe elsewhere can process American (US) checks only. Kyoto branch will not. Cheques from other countries are not supported nationwide. Asking around Japanese banks, the answer to what constitutes an established customer is inconstant. The truth of the given time frame (such as one year) can be much less than what initially claimed, with most importance on the amount and nature of transactions within the account. If opening a new bank account, it is advised not to insist on this and simply take time needed to create trust and then casually ask to cash the cheque. The real extent to these claims remains unverified. I am not aware of any method for cashing cheques for non-residents or someone who wants to process it fast without an initial bank account. Also note that the name of the account and the cheque must match. Additional exchange or any other fees may also apply. Thanks a lot for sharing your experience. I’m in a very similar situation, having received a Euro cheque, also from Deutsche Bank London. I have accounts at Shinsei and Yucho and neither of them could deposit it. Citibank used to be the cheapest. Now they are called Prestia/SMBC Trust Bank and their fees are 2500 according to the website. I was put off by the 2000/month banking fees (unless you keep a minimum amount in the account). I found online that the similarly named but seemingly completely independent SMBC bank had similar fees of 2500+600. So today I went to open an account. My impression was that they won’t let you open an account just for this purpose but when I told them that I plan to receive cheques regularly they let me do it. I had further difficulties because I’m self-employed, working from home, without any contracts in Japan and they asked me many questions about my business and why I received that cheque. Getting them to use my Katakana-alias without my middle names was another challenge. At some point I asked them about the fees for the cheque and was told it’s 7000. I didn’t even argue about it and was happy enough that I found a bank that would let me deposit the cheque at all. Maybe the 7000 include fees from the issuing bank or other currency exchange fees or maybe the bank lady simply didn’t know. It will take one month for the money to arrive and then I will know for sure. Ultimately I have to say I regret not going to former Citibank. Probably they are cheaper, faster and more used to dealing with foreign currency cheques. I dread having to go through this process more often from now. Thanks for the input! Actually I also visited SMBC Trust Bank (former Citibank) and their version of the story was that they don’t accept business related cheques and only personal cheques could be processed. So it was a dead end for me at least. And according to staff US cheques were 2000円, others 2500円. Some of the banks seem to circumvent the funds through third party banks so I guess that’s another possible reason for high fees. Did SMBC start processing the cheque on the first day you opened up an account with them? That sounds like a big achievement in itself ???? And looking forward to hear your final outcome.